Jean-Jacques Rousseau was born on June 28, 1712. The writer, philosopher, composer, and pioneer of the Age of Enlightenment had a great influence in educational and political matters throughout the French Revolution and beyond. Rousseau was born in Geneva in 1712 and after the death of his mother he grew up with his father, who had started Jean-Jacques‘ interest in books, such as the works of the antique historian and philosopher Plutarch. But at the age of 10, his father Isaac had to flee from Geneva and from there and through his childhood, Rousseau suffered from injustice, mistreatment, and disinterest towards him. During his adolescent years, he began a life as traveler with temporary jobs as music teacher or secretary. A big influence during these years was Françoise-Louise de Warens, who provided him several jobs as well as education. She was a big part of Jean-Jacques‘ life as a friend, supporter, and lover. 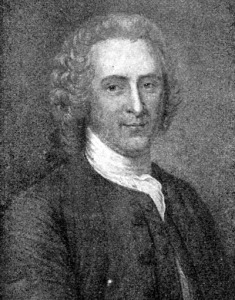 Jean-Jacques Rousseau was not really known for having a great social life and even in his childhood he preferred spending his time with books, instead of other children. In the 1740‘s, he moved to Paris and was finally able to socialize with people of his age and intellect, including encyclopedistDenis Diderot, who was later prisoned for publishing blaspheming scripts. Rousseau himself published his ‘Discours sur les Sciences at les Arts‘. This work denies the question whether arts and sciences spoil the morals of the population. 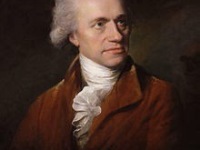 It polarized the intellectuals and caused Rousseau lots of attention throughout all social classes in Europe. In early 1756, he refused the post of librarian offered to him by the city of Geneva. Instead, he moved to Montmorency north of Paris as a guest of the multifaceted, self-writing Madame d’Épinay, a friend of Diderot. 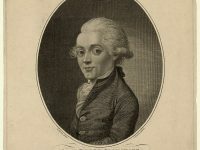 However, in 1758, when he reacted to the critical article “Geneva”, which d’Alembert had written for the Encyclopédie, with the Lettre à d’Alembert sur les spectacles, in which he, the former playwright, denounced theatre, this favourite child of the Enlightenment, as useless and potentially immoral, he made an enemy of this and the circle of philosophes around him. And with the fame came the downfall. He published works like Julie, or the New Heloise, which represents the ultimately impossible love of the bourgeois intellectual Saint-Preux for the noble Julie d’Étanges and partly was inspired by Rousseau’s passion for Madame d’Épinay’s sister-in-law, Madame d’Houdetot, and Émile, or on Education, which is now known for his most influential writing. In it he advocates, on the one hand, letting children live through their childhood and keeping them away from corrupting feudal social influences (negative and natural education) and, on the other hand, guiding them to discover the laws of nature themselves by means of selected teaching and learning scenes and to experience the structures, values and norms of society in a society divided by division of labour together with their mentor and to consider them in conversation (critical socialisation). 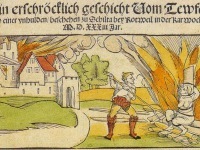 Soon after its publishing it was banned from Paris and Geneva and publicly burned. Nevertheless, it influenced the French Revolution and counted as a great inspiration concerning new educational systems. A nomadic life followed after his political downfall in Paris and Geneva. He moved from Bern to Môtiers, then lived in England together with David Hume  and finally got back to Paris, where he was now tolerated, giving lectures about his theories occasionally. All in all Rousseau was a man with many talents and interests. He was active in the field of music, composed several operas and plays. His conception of man was filled with hate towards the culture and society, yet he believed that the ‘natural human‘ is basically good and only screwed up by this society. 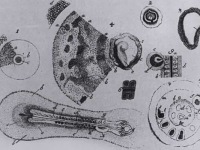 With his botanic researches, Rousseau earned respect and admiration by many celebrities during the 1760‘s and his educational writings influenced many future pedagogues like Adolph Diesterweg and Maria Montessori. At yovisto, you may learn more about Rousseau’s theories of nature and education lectured by Ivan Szelenyi at Yale University as part of the series Foundations of Modern Social Theory. Have you played your Atari today?